When I met my husband I never truly considered his last name. I was more interested in those blue eyes and big heart. It wasn’t until after we were married that I began to wonder about my new name: Roelker. 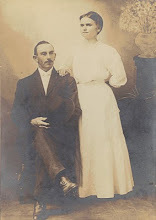 I have been passionate about genealogy all my life but I had never considered being passionate about someone else’s roots until I made the connection that they were now my roots as well. So I began to ask questions. My husband and in-laws knew that the name was of German origin, they believed it was from the Black Forest area, and that their immigrant ancestor came to the United States fairly recently. My search started with collecting all of the census records I could find. I was able to trace the line back to Frank Roelker who, according to census records, was born in Germany in 1861. I found him and his wife Regina with their six children on the 1900 census in Montezuma County, Colorado. As far as official records went, this is as far as I could get. 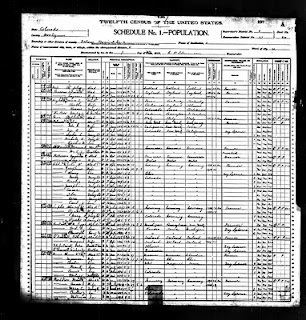 The 1900 census stated that Frank immigrated to the United States in 1878, but despite many searches I was unable to find any record of his arrival in America. 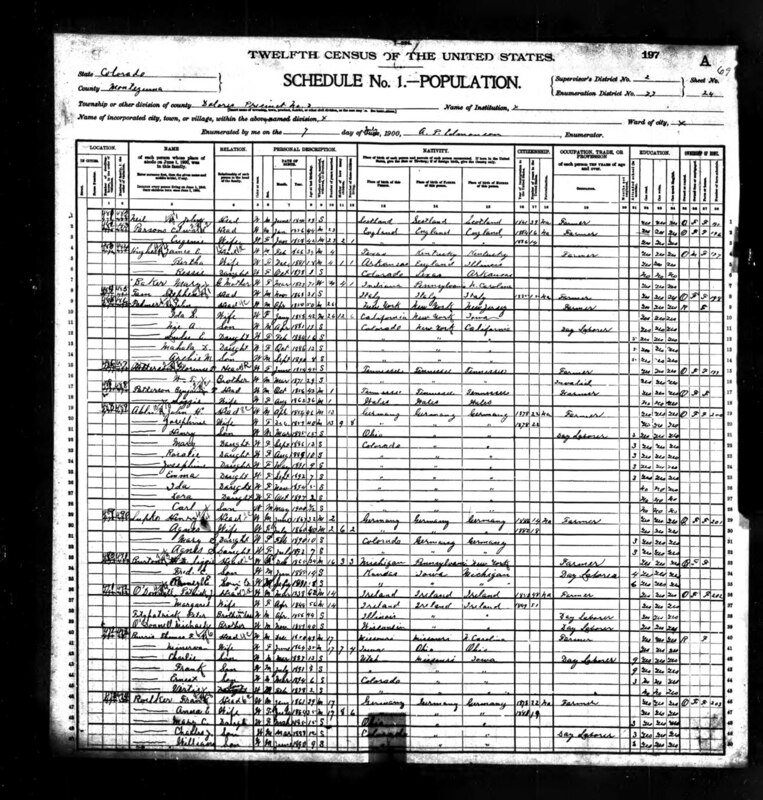 The 1900 census also stated that Frank was a naturalized citizen but finding proof of that also eluded me. I contacted the Colorado State Archives to see if they had a record of his naturalization but they had no documentation on Frank. In a search of Colorado newspapers at The Colorado Historic Newspapers Collection I found small notes about the Roelkers' social life, but no information about their origin. I knew when Frank and Regina had died based on a search on FindAGrave.com, so contacted the local library, but there were no copies of the local newspaper from that time to search for an obituary. The Colorado Historical Society had copies of the newspaper on microfilm, but they were closed and in the middle of a move between buildings. Dead end. I decided to request Frank Roelker's death certificate. I downloaded a death certificate request form from the Colorado Department of Public Health and Environment and mailed it to the appropriate address. Unfortunately, his death certificate did not have any information that I did not already know. It only stated that he was born in Germany and the informant, his son William Roelker, did not know his grandparents name so they are not listed on the certificate. brick wall for the Roelker family. ﻿﻿It was a great find and opened up a whole new line of research, but I also wanted to hit myself across the head. I should have noticed that information the first time around. I often get so excited to move on to the next shiny object that I fly through documents rather than really investigate them. It is hard to say when even the smallest tidbit of information will open new leads. So this is my ode to double-checking facts. May I one day learn! What a great reminder! I do the same thing too. You get so excited that you miss little things along the way. I hope the Ohio lead helps you out!